This high quality J shaped pillow is a worldwide best seller. 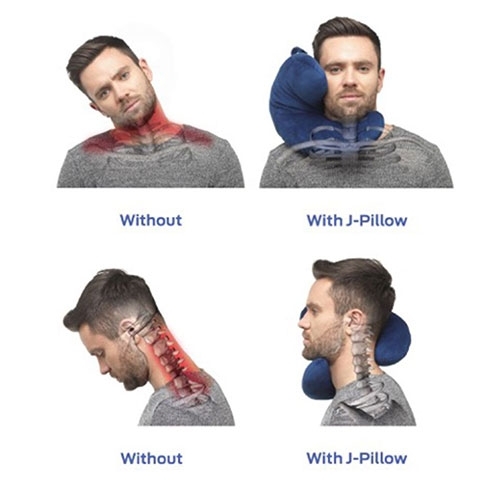 J-Pillow provides support to your head, neck and chin to prevent that annoying head nod. This amazing pillow will give you the best sleep possible! Use this J-Pillow to sleep comfortably anywhere. Use whilst travelling or even at home. Supports and keeps your head in perfect position for restful sleep. Lightweight - weighs only 9 ounces. Comes with free carry case which attaches to your luggage easily. Over 1 million sold worldwide, get yours now! 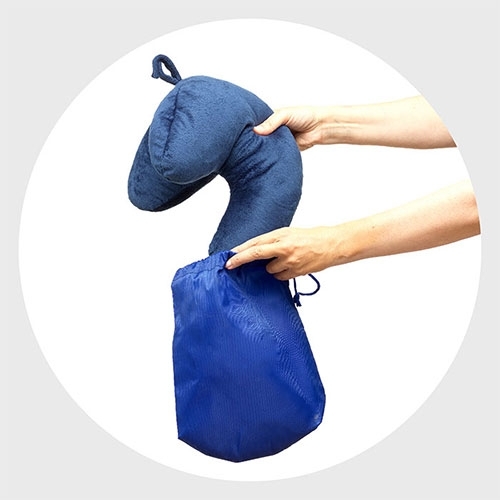 A revolutionary J shaped pillow which gives you the sleep you deserve whilst travelling. Incredibly soft and comfortable, made from luxurious plush material. Suitable for use whilst travelling in the car, train, plane, or even at home whilst asleep on the sofa. This pillow actually works, get yours now!